This California B & B draws inspiration from interiors all over the world. 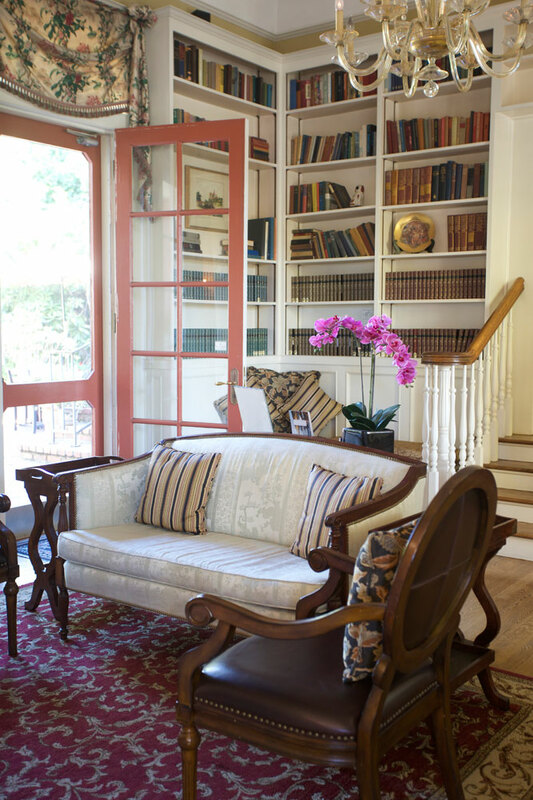 A plush chair, side table and lamp are comfortably situated in the reading nook. 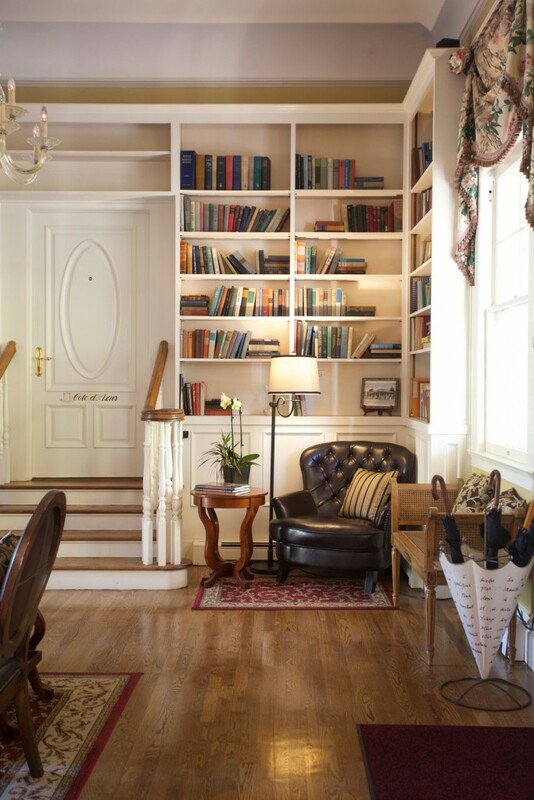 It’s the perfect place to relax with a good book and your hot beverage of choice. Just south of Santa Cruz along the central coast of California is a charming little beach town called Capitola by the Sea. One of California’s oldest seaside towns, Capitola is known for its row of colorful houses along the water, beautiful weather and the Begonia Festival that has been enchanting visitors since 1952. 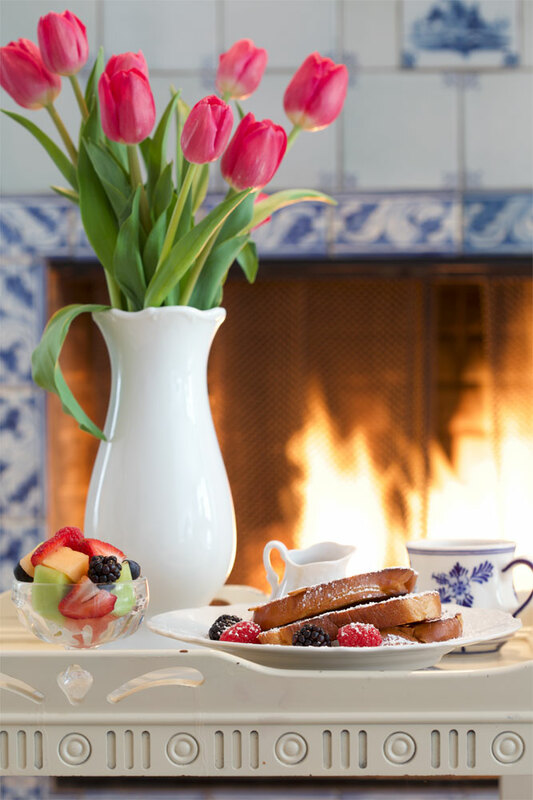 Capitola is also home to one of my favorite bed-and-breakfasts, the Inn at Depot Hill, which is an ideal escape for a romantic getaway. Located just a short minute walk to the beach, the Inn at Depot Hill was built in 1875 and was a working train depot until 1958, when the train line was discontinued. Over the years, it has changed hands many times and is now a charming and unique B & B that offers 12 rooms, each decorated representing a different destination from around the world. The Delft Room honors its namesake with a blue and white color palette. The Sissinghurst Room draws inspiration from traditional English gardens. Guests will find one right outside their door! Once you enter the Inn at Depot Hill, the ambience of this B & B will instantly captivate you, from the Delft room with blue-and-white décor and an expansive space that includes a sitting room, fireplace and private patio with hot tub, to the Sissinghurst room that transports you to the English countryside with floral chintz fabrics and a private English garden inspired courtyard. 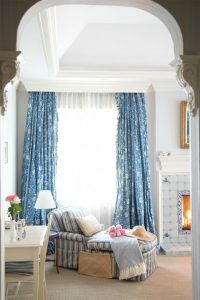 Elegant, yet cozy, the sitting area is perfect for unwinding after a day out. 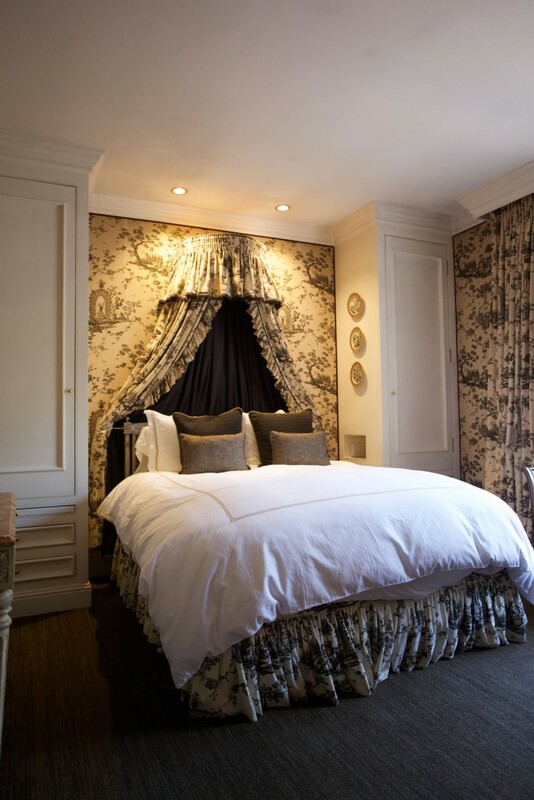 A plush bed beckons sleepy visitors at the end of the day. 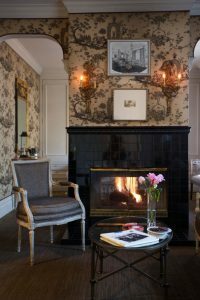 The Paris room, with toile-covered walls and an abundance of Parisian romance, features a sitting area and room that share a fireplace. Don’t forget to check out the library, which has shelves full of books and a small alcove for hiding away for a nap. No matter which room you decide to stay in, each guest room offers a warm fireplace; some offer private hot tubs and courtyard areas for enjoying the fresh air as well. 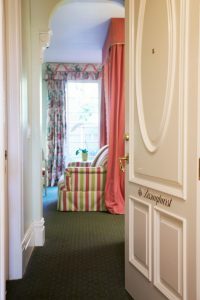 For more information on the Inn at Depot Hill and to plan your stay, visit innatdepothill.com.